When my stepfather died I inherited, kind of by accident, a wild and raucous herb garden. The first time I saw it in the spring, a few months after his death and a grey, snowy winter, I sat down on the slate border he'd made and cried. Here he was, in fuzzy sage and ur-green sorrel, poking his head out of the earth and saying hello. I loved that something he'd planted had grown in his absence. I used the herbs in his garden that summer and well into the fall to make smudge bundles for myself, friends, and family. Sage, lavender, rose, sometimes oregano and thyme (why not?). 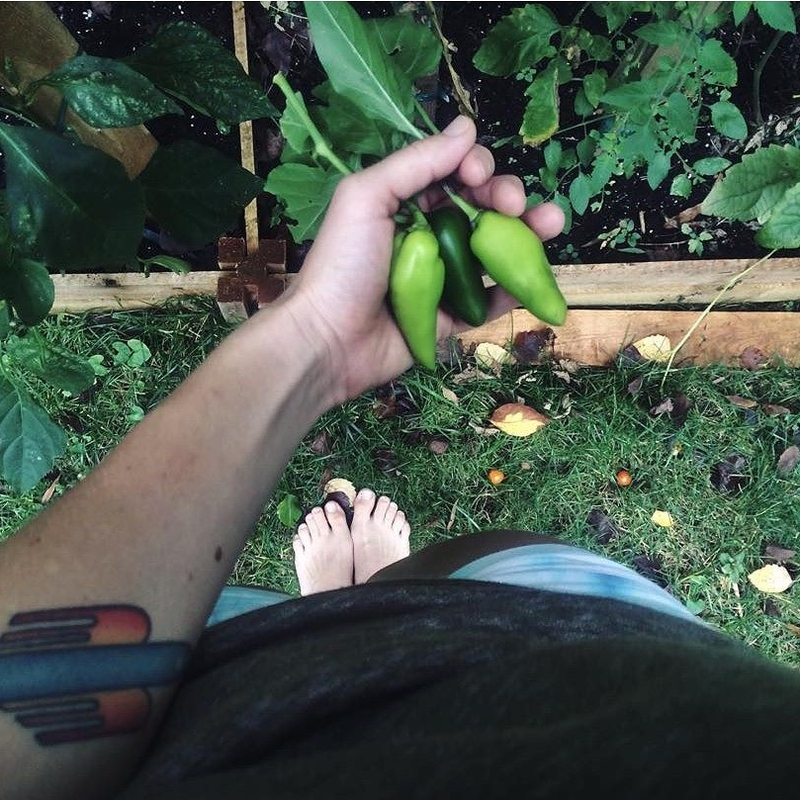 His herb garden inspired me to start my own garden, a few raised beds in the backyard, with hearty kale, a mandala of basil, super tall tomato plants (like, seven feet tall), hot peppers, and a border of marigolds. It became a place of refuge for me during an uncertain time. Digging into the soil and talking to my plants felt like a communion of the highest order — with myself, with the earth, with life and death and everyday miracles. It was a weird summer for basil and the tomatoes didn't get enough sun. The kale grew and grew. I learned a lot and felt truly, purely overjoyed every time I spotted a new, tiny sun gold. On a balmy day in December I pulled the tomato plants and managed to cut one of my fingers with a pair of garden shears. It was a small cut, but deep, and it bled and bled. Soon everything was covered with blood, all the stems and leaves and robust roots I was piling on the ground; it made a constellation on the wooden planks. The cut filled with dirt and other suspect things. I didn't mind.